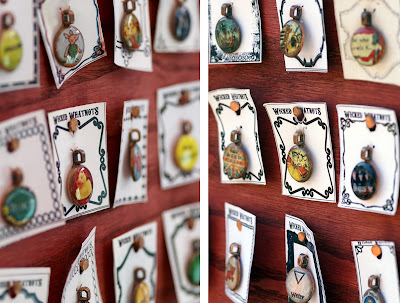 An Artist Who Knows How to Make a Pretty Penny Even Prettier. 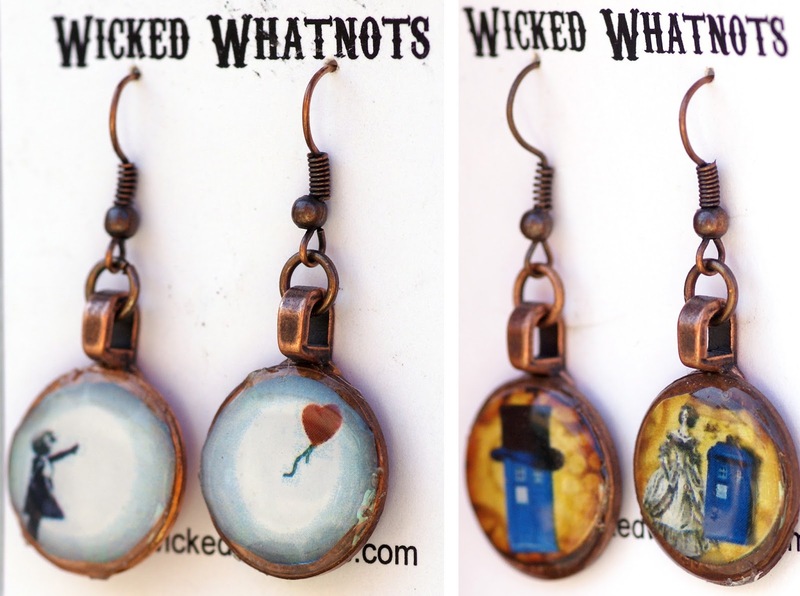 Uniquely Upcycled Earrings & Necklaces for Nerds Everywhere. Have you ever considered the fact that you might have a piggy bank full of potential jewelry just waiting to be used? For artists Julia & Lee D'Angelo 100 pennies is more than a dollar, it is a bag full of possibility! 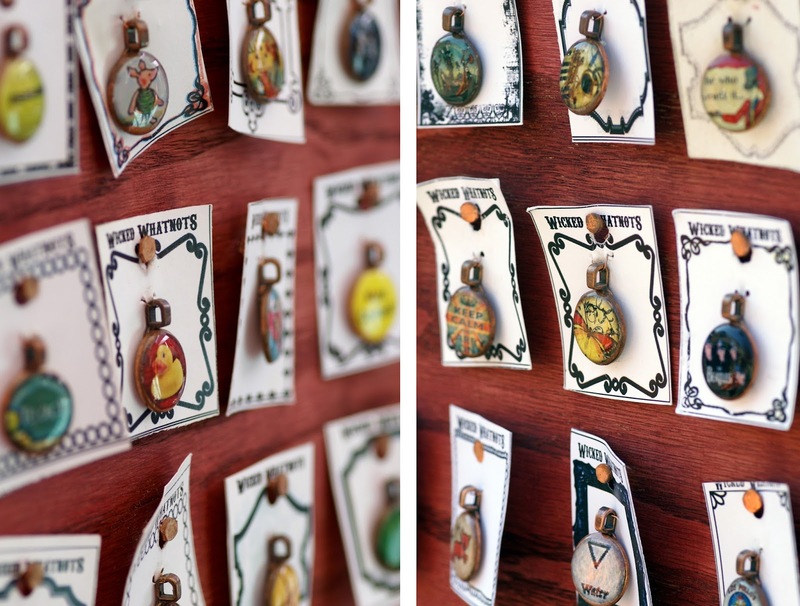 These two clever crafters behind Wicked Whatnots started out as coppersmiths, but eventually found their calling in upcycling pennies to make one-of-a-kind jewelry. 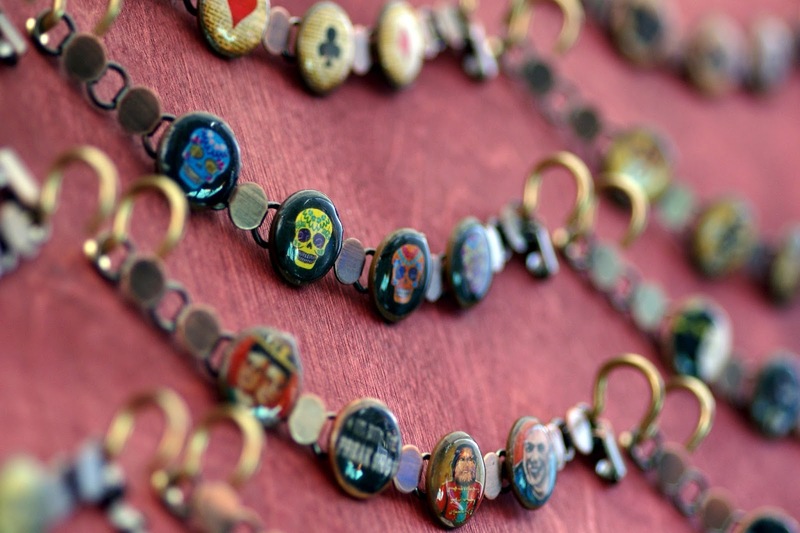 They use these coins as the backing for earrings, pendants, bracelets and more. The nice round shape offers a uniform surface upon which these artists apply images and resin for a shiny seal. When it comes to the images and iconography they use, I am a big fan of the references to pop culture and nerd favorites. Comic book heroes, Cartoon characters, Doctor Who, but also an array of shoutouts to Austin pride. What they all have in common is fun color and creative pairings. Why should you have to wear earrings that match in the traditional sense? 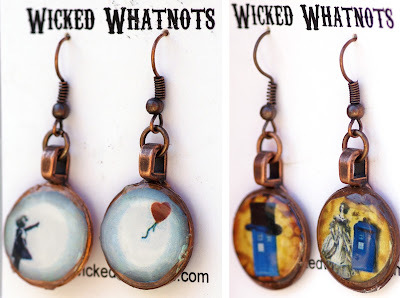 What Wicked Whatnots offers are so much more fun! Peanut Butter for one ear and jelly for the other. Or a child holding a kite string on one side and the soaring kite on the other. The uniform shape of the pennies allows more freedom in playing with matching concepts and helps them go together quite well! I'm sure it's never an ordinary day in the studio of these artists! 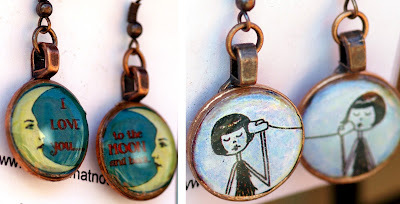 I'd offer much more than a penny for their thoughts because based on their clever jewelry, I know their creativity abounds!